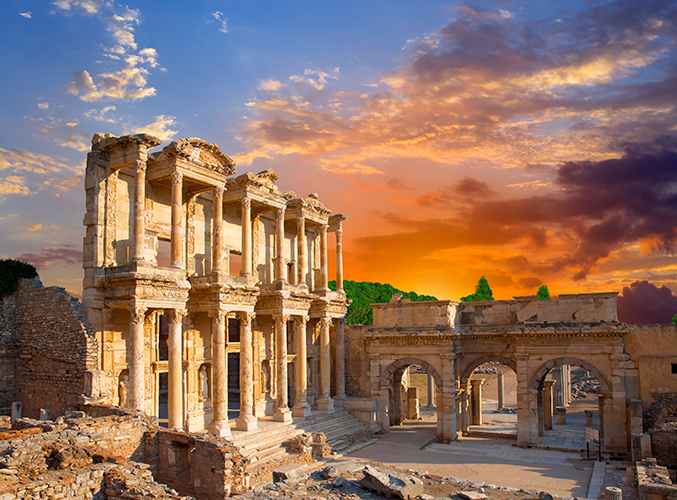 Having a rich historical heritage, Turkey is among the countries where the course of architecture throughout history can be most dramatically seen. Having hosted various civilizations and having been influenced greatly by both Eastern and Western architecture, achieving new synthesis by combining different architectural style,s has resulted in an expansive architectural experience for the country. Turkey, where Roman, Greek, Seljuk, Arabic, Turkish, Ottoman, German and American architectural influences can be clearly seen, offers architectural art fields and its overall impact on life in a striking way to her visitors. 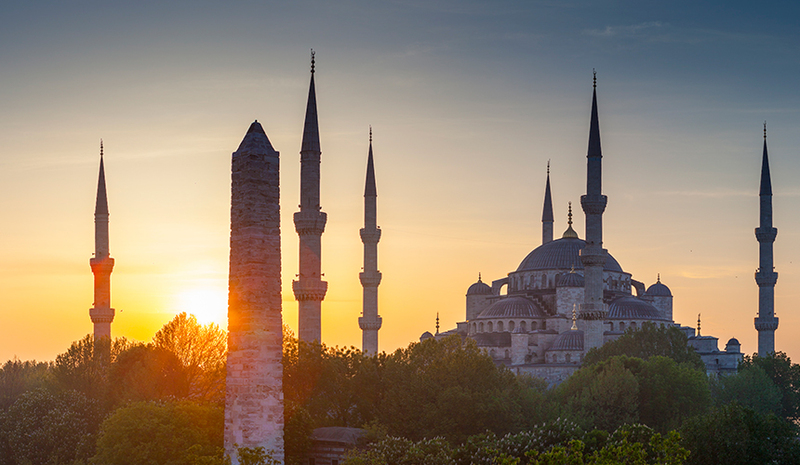 Turkey is among the countries that offer a wide range of architectural diversity. 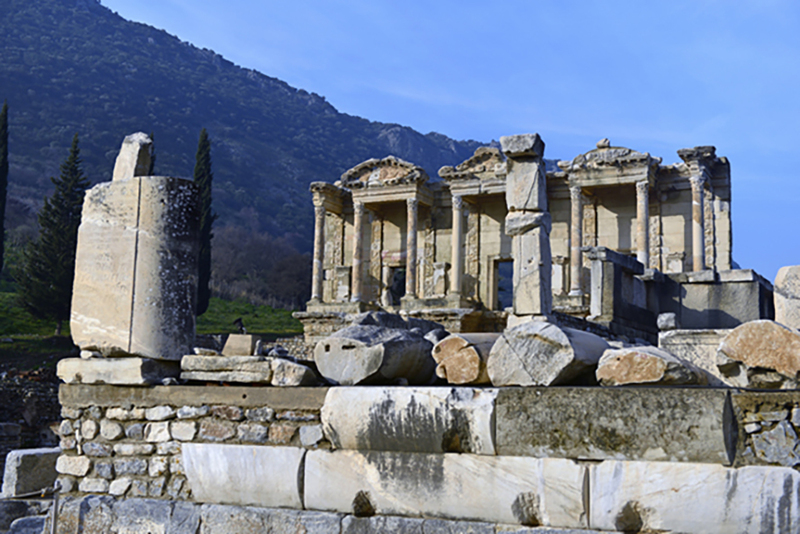 The Aegean and the Mediterranean regions are particularly populated with the examples of ancient Greek architecture; The Grand Theatre of the Hellenistic period, which was built in 3 BC in the ancient city of Ephesus, and the Artemis Temple of the world’s seven wonders are must-visit architectural sites. The traces of ancient and late period Roman Empire architecture can be found in every region. The typical Roman architecture features, domes and arches, demonstrate the most advanced engineering techniques of their period. Thus, giant buildings constructed thousands of years ago are visited by an influx of tourists every year. One of the most magnificent structures in Anatolia is the majestic Sümele Monastery built on a mountainside. But undoubtedly, the most sophisticated and magnificent examples of the Roman architecture are located in Istanbul. Hagia Sophia, Basilica Cistern, the Valens Aqueduct, and the Hippodrome which was the center for sporting events are among the most important works. The Ottoman-era architecture, on the other hand, is heavily influenced by Roman and Seljuk architecture. The dome structure and general architecture of the Ottoman mosques carry the traces of Roman architecture, rather than Arabic mosques, solidified in Hagia Sophia; Seljuk architecture where their most sophisticated examples can be seen in Central Anatolia and Central Asian Turkic architecture. When one says Ottoman architecture, the first thing that comes to mind is Mimar Sinan, one of the few architects of the past with the most sophisticated works. Although Mimar Sinan, who succeeded building the most important works of the empire and was beyond his time with his engineering as well as aesthetic understanding, is well-known as the architect of the Süleymaniye Mosque in Istanbul. His most sophisticated work of the mastery period is Selimiye Mosque in Edirne. Compared with Michelangelo in the West, Mimar Sinan is priceless figure, whose Ottoman architecture was introduced to the world with his usage of semi-domes, strong columns, and placing circular domes into square, hexagonal and octagonal shapes as wells his use of artistic prowess in interior decoration. The architectural understanding of the Turkish Republic, founded in 1923, rose not only on the legacy of the Ottomans, but also emerged as a result of westernization roots dating back to long ago. Therefore, the early republic architecture is heavily inspired by the Ottoman, German, and Austrian architecture. In the Republic era architecture, which progressed between traditional-modern, East-West, religious-secular influences, neoclassical Turkish style developed under the leadership of architect Kemalledin and Vedat Tek. In the 1920’s these architects facilitated the German and Austrian influence and was felt heavily in the 30’s and 40’s; the authentic local architectural style was developed from the 50’s to 70’s and a post-modern style influence was seen after 1980’s mainly under the leadership of the private sector.